Let's talk about the current state of Toronto radio. Yes, I realize many of you have abandoned terrestrial radio in favour of satellite and internet radio or podcasts, but let's pretend we only have the transistor radio from our youth at our disposal. Let's stick to FM and AM signals you can get from Toronto. I'll start... The station I listen to most often these days is CBC RadioOne which is 99.1. I just find it interesting, enjoy their news reports and love the lack of ads. In the car, when I want to hear a tune, I still tune in Edge 102.1 or 97.7 HTZ-FM, but the narrow playlist now employed by 102.1 seriously frustrates me. Having said that, I still usually like what I hear there, even if they do overplay certain "top 40 for grunge" songs. I still enjoy Prime Time Sports on The Fan 590, and tune that in periodically. I'll also listen to Jays Talk on that station following an interesting Jays game. That's about it... 99.1, 102.1, 97.7 and 590. I find the vast majority of stations are pretty awful. It seems we're underserved in this market, and it's only getting worse. It's no wonder I spend most of my day listening to Howard Stern, Humble and Fred podcasts and MP3s. Ok, your turn. What do you like / dislike about Toronto terrestrial radio these days? What stations do you listen to? On March 25, 2009, 1050 CHUM became CP24 Radio 1050. I was quick to grab the CHUM Chart for the week I was born because before you knew it the old 1050CHUM.com site was offline. I remember being pretty ticked about this. I even wrote a plea to CTVglobemedia. If they released the CHUM Charts archive to me, I'd build a site and host them myself. They didn't bite. I'm pleased to share that http://chumtribute.ca/ is now online and it has most of the old CHUM Charts online. It's a work in progress, so I'm sure they'll all be there soon. I'm not sure who's behind chumtribute.ca, but it claims to be a "tribute to Allan Waters, the Waters family and everyone who worked at 1050 CHUM as a music station from 1957 until it became TSN 1050." Even they've erased the CP24 Radio experiment from the history books. 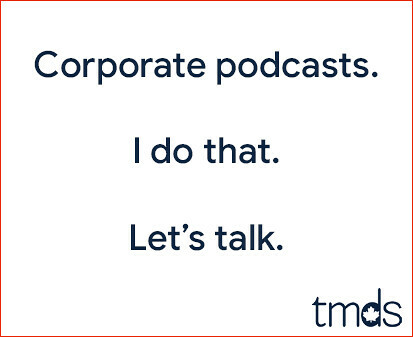 We beat up on radio a lot these days, but it's not all terrible. 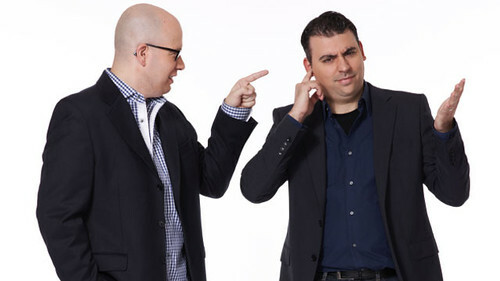 I've caught a lot of the Tim and Sid show afternoons on Sportsnet 590 The FAN lately, and it's good. Tim Micallef and Sid Seixeiro, formerly from The Score, have great chemistry and put on a nice little show. It's sports centric, but it's not only about sports. It's just good conversation. 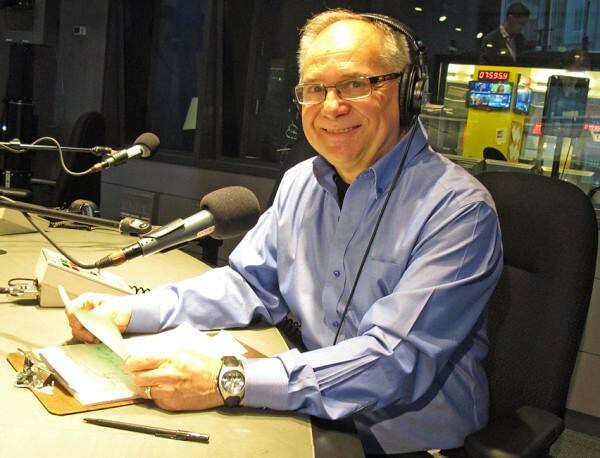 Alan Cross has teamed with Astral Radio to program his own on-line radio station called Squish. As he wrote earlier today, the programming of Squish is is 100% his responsibility. I'm very jealous. I've wanted to do something like this for quite some time, but I'm not Alan Cross. Luckily for us, Alan Cross is Alan Cross, and he's got a very cool thing brewing here. I'm listening right now. So far, so good! I could see an on-line station like this getting a good chunk of my work day. At least when I'm not listening to Humble and Fred. It's amazing how little of the radio I listen to each day is actually on the radio. I listen to CBC Radio One news in the shower, and this and that in the car, but at my work desk it's all web based now. Give Squish a listen. It's a little tricky to find it. Go here and click on the graphic that reads "Listen to the V Streams". Then look for the Squish graphic down and to the right. Good job, Alan. Thanks Doug, for pointing me in the right direction. I probably teased this one a little too early, but the big announcement from Humble and Fred has just been made on Breakfast Television. Rogers Radio now offers listeners free access to Humble and Fred Radio.com, available on 19 Rogers Radio websites – granting unrestricted access to the popular podcasts, 24 hours a day. With just the click of a button, fans can tune in and catch up with Humble and Fred on the following Rogers Radio station players: Jackfm.com, 1031Jackfm.com, Sportsnet960.ca, Jackfm.ca, Rock977.ca, Rock979.ca, Rock106.ca,92CitiFM.ca, Sportsnet590.ca, 1023bob.com, Chez106.com, 923Jackfm.com, KRock1057.ca, foxradio.ca, Q92Rocks.com, Q92Timmins.com, 680News.com, SONiC1029.com, and Rock1053.ca. Also available on the exclusive Rogers Radio app, Humble and Fred Radio.com can be caught on-the-go with this all-access pass to their made in Canada podcasts. App users can browse by station, location or genre, connecting instantly with stations nationwide. At the tip of their fingers, listeners can check out recent playlists, request songs and directly link to station websites. Aw heck, here's the whole press release. (TORONTO – January 24, 2012) Rogers Radio today announced the debut of Humble and Fred Radio.com across 18 Rogers Radio websites and on mobile devices through the Rogers Radio app. "We are thrilled to partner with Humble and Fred and are very excited and proud to be able to offer this unique, innovative show to our Rogers radio listeners." says Julie Adam, VP Programming. "It's like having a 56th station... it's just that this radio station lives solely in the digital space." Humble and Fred Radio.com is an uncut, uncensored and irreverent podcast baked fresh daily and delivered to listeners around the world. “Humble” Howard Glassman and Fred Patterson offer up a variety of special guests, hot-topic discussions and very funny content. “We’ve never had so much fun” says Patterson, “And to have Rogers recognize our efforts and want to give us access to their millions of listeners is flattering. Rogers vision of the future is very impressive. There's more to it than just availability from Rogers digital property. There's also regular on-air bits with Bob McCown on Primetime Sports and a neat little thing with 680 News. But most importantly, this is the beginning of something bigger. Not bad for a couple of guys rolling their own in Etobicoke. I'm frequently asked what happened to Brian Henderson from 1050 CHUM. Brian Henderson, or Henny as he's called, was a part of the 1050 CHUM Morning Show as you'll see in this ad from 1987. I awoke this morning to a note from Brian with an update about what happened to him at CHUM and where he's at today. Since I have no idea what "URL" and all that other computer mumbo-jumbo means, I'll skip straight to the meat. Yes I have had, and to a lesser degree, continue to have health issues. The reason I was terminated at CHUM however had nothing to do with health. I was fired because I was too old, making too much money. FULL STOP! In the meantime, I have grown quite comfortable in retirement. Comfortable because of the age old advice, "always marry a younger woman, so that even when you're downsized, at least one of you is working. All of the children have finally left home. Oldest Gillian is back in school in Vancouver taking her masters. Youngest Erin has crossed the street and is now working for TSN, while Kyle, "The Wonderkid" has graduated with his teaching degree, right in the middle of an era when there are no teaching jobs, Just like his father, he too has a supportive wife with a good job, and so we're all doing fine. Except for the job part. Anyone know of any teaching possibilities for Kyle? He lives in Burlington, but will eagerly travel. A few weeks ago, when Fearless Fred went off on me on Humble and Fred Radio, Kelly Cutrara jumped to my defense. Don't believe me? Here she is assuring Fearless Fred that I'm really a good guy. Kelly Cutrara took over for Maie Pauts on CFNY / Edge 102.1, following the Humble and Fred show every weekday. If my memory serves me correctly, she left Edge 102.1 for Mix 99.9 before moving over to do talk on 1010 CFRB. 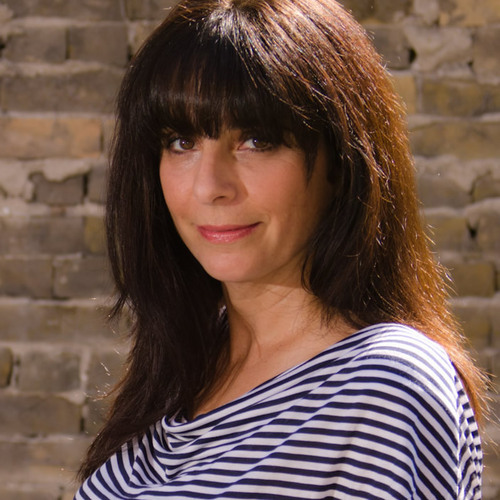 She then did a stint on CBC Radio 2 and now she sits in on Humble and Fred Radio every Tuesday and Thursday. And believe me when I tell you, Kelly Cutrara is a good gal and she's looking for work. Contact me with job offers for the lovely Kelly Cutrara.